This is a collection of the best venison recipes you will find online. Recipes refined by a hunter, for hunters. This website currently boasts a collection of recipes totaling over six hundred. 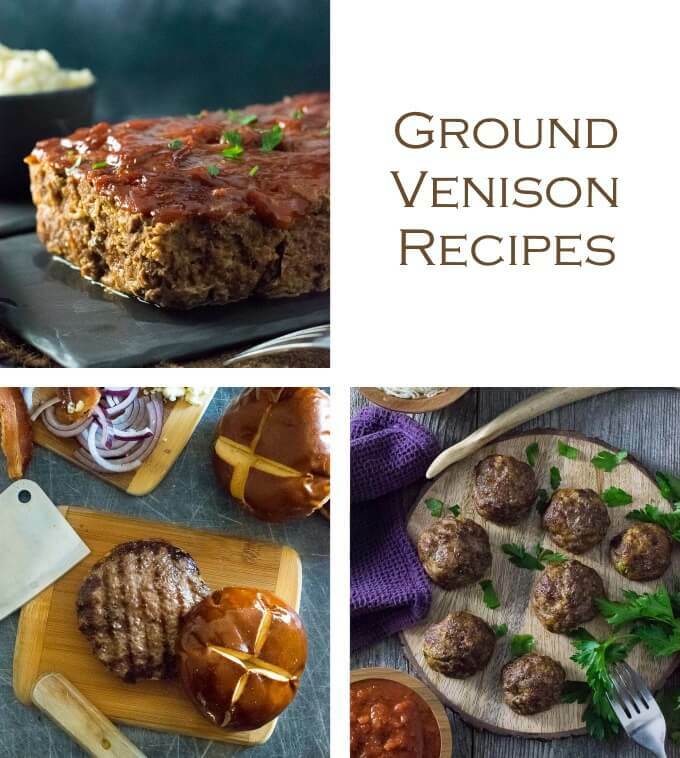 However, there are none I am more proud of than my personally crafted and refined venison recipes – a number of which, have become some of the most popular venison recipes online. I put a lot of pride and effort into being a successful hunter, and I put an equal amount of dedication into ensuring my harvest is utilized to it’s most flavorful potential. These recipes allow me to savor my hunt long after the season has ended. Perhaps they will become part of your hunting tradition as well. The most celebrated venison cuts are the backstraps and tenderloins. Backstraps are the larger strip of meat running down the spine (hence ‘back’ strap), and the tenderloin is the smaller and more ‘tender’ strip of meat that can be pulled out from inside the rib cage. Hunters often use these terms incorrectly and interchangeably, however, the recipes for each can typically be substituted for each other. Just keep in mind backstraps will take longer to cook then tenderloins, so adjust accordingly. 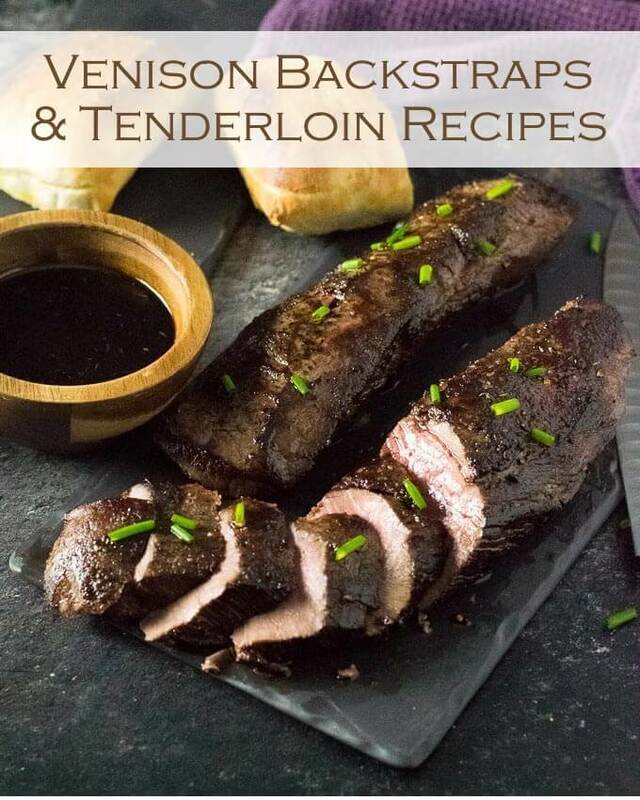 Marinated Venison Tenderloin – Try this marinade with whiskey! 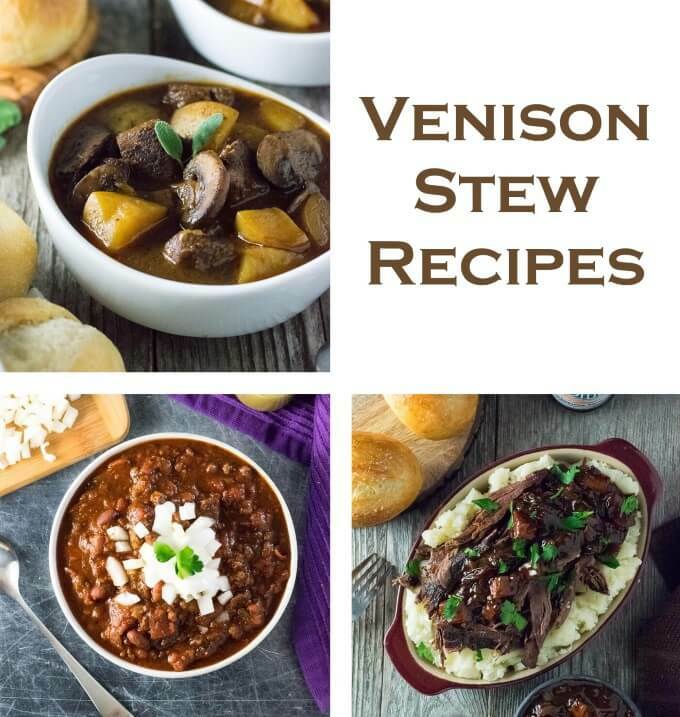 Cuts of venison from all across the deer can be used for making great soups and stews. I utilize the neck, shanks, and ground meat for these recipes. I particularly love using cuts with sinew and silverskin (like the shank) for soups and stews because it melts away while the venison simmers, helping to fortify the broth. As a general rule, if you can see through the silverskin, you can leave it on the meat when running it through the grinder or using it in a stew. There is nothing I like having a greater stockpile of than ground venison in my freezer. It is the most versatile part of the deer. I recommend having your venison ground with 20% pork for beef fat. I prefer pork fat for sausages and beef fat for most other applications. Blending venison with fat is important because fat carries flavor, makes the meat more moist, and prevents it from crumbling apart when cooked. I hope you guys enjoyed my collection of venison recipes. 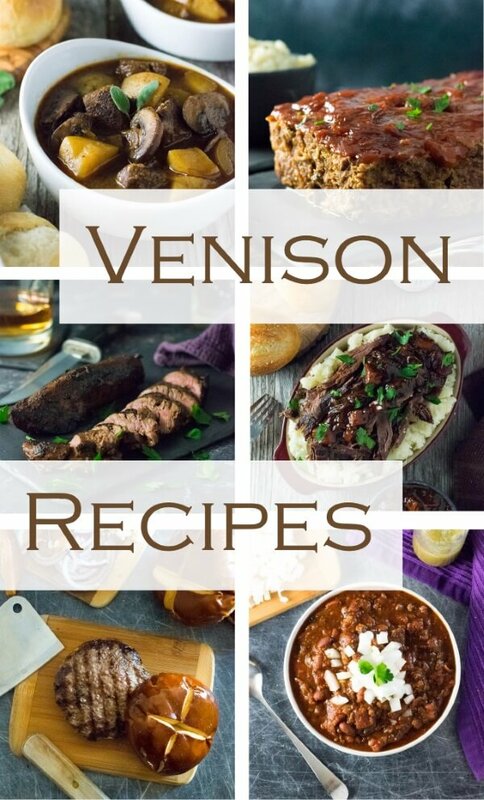 I will continue to add to this list as more venison recipes are published. In the meantime, hunt safe and continue on the tradition. If you enjoyed these venison recipes then you should probably like me on Facebook and follow me on Pinterest too. That’s what I would do at least, and if you are willing to take my advice on the food you put into your body you should probably follow my advice on that too.